Cpl. Irwin W. Jones, son of Mrs. Charlie Jones, graduated from Grandfield High School. 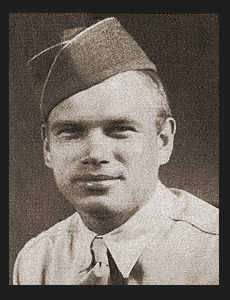 Entered Army in Feb. 1943, trained in Camp Barkeley, Texas, Fitzsimmons Gen. Hosp., Colo.; served in China, Burma, and India. Awarded Asiatic Pacific Ribbon with two Battle Stars, China Lib. Ribbon, China Defense Ribbon, Good Conduct Medal.